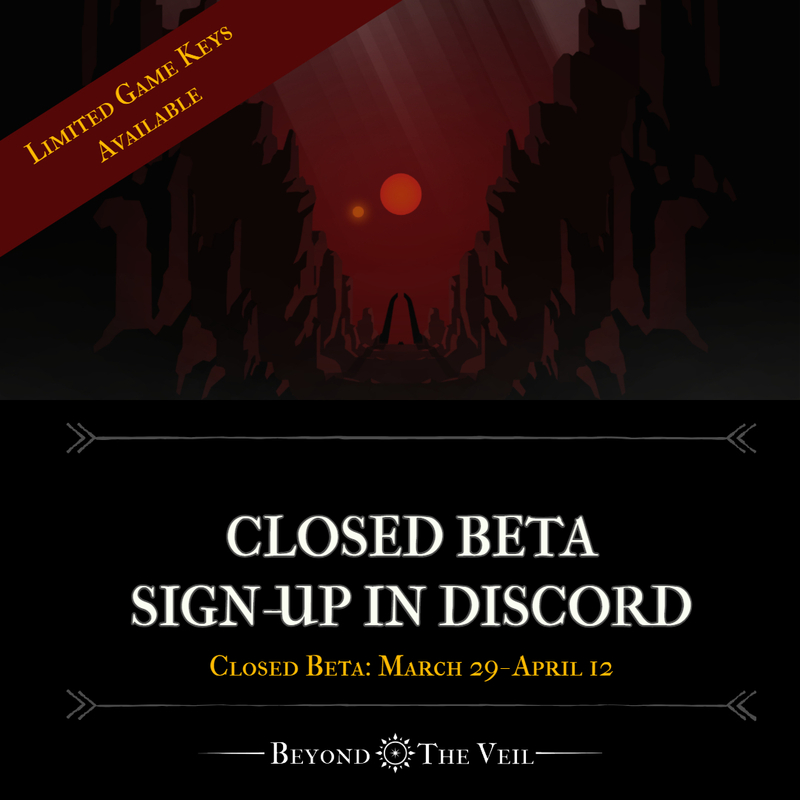 Hey All, Very exciting news today- Beyond The Veil is entering a Closed Beta period running from March 29th- April 12th. Join us on the BTV Discord server for updates and a chance to be a beta tester (if that's your thang!). Link to server can be found at the end of this update. The Beta will provide an opportunity to get some feedback on the game, and find out if there are any bugs I've missed, which I'm sure there are. Based on the outcome of that we'll be looking at a full release, so it's full Steam ahead (get it?!). So why is it the Final Final Version (TM)? Well as far as I can tell everything is done. I've got a bit of editing still to do with the story, making sure everything reads nicely and the narrative is coherent. Also got a teensy bit of work related to the final battle, but otherwise feeling good about it. That's all for now folks, hope you have a great week, and I can't wait to get the game in your hands. Hello again lovely people! Trying to keep you all updated as we get closer to finishing- very exciting. A fair bit of shuffling around has been going on with enemy behaviours and the story, and feedback so far says the changes are good. No longer will you find key story information in journals hidden across the game world, instead they are shown in their own dedicated screen. I did want to have a certain amount of discovery related to the narrative, but just couldn’t resolve the issue of players missing out on key chapters because they didn’t find them in the environment. Not a massive change, but one that does bring the story a bit further into the foreground. There are still bits of lore that can be found in the environment, so I am content with how it turned out. I had another go with the bosses and I can tell you they are feeling fantastic now! Much more visually exciting, and the addition of audio really brings them to life. I’m trying to lean a bit more into the bullet-hell side of things, so hopefully the change of pacing with the boss battles will keep you on your toes. Regions now have hand-written names. I played with some procedural naming algorithms, but nothing I could do in a short time would match the quality and variety a human can achieve. The change has a surprising impact on the feel of the different environments. Now that regions have themed names the world just feels more alive and real. The only issue now is coming up with hundreds of names to create a big enough pool to prevent repetition! Not much else to say today, my focus now is just on putting the finishing touches on the story and refining the balance. The data I can generate is fairly limited, so I anticipate that there might be a little bit of balance required on release, but hopefully nothing major. "Though this world is dying, it can be saved. Once abandoned by the gods, we can bring them back. We must travel together across the wasteland, find the tombs in which they rest, and wake them before all is lost for good. Come with me Wanderer, recover what was taken from me, and I will help return what was lost to you." Beyond the Veil is a top-down-shooter RPG hybrid set in a dark fantasy world that explores themes of loss, grief and more. Players take on the role of the wanderer who must travel through ancient lands on a quest to awaken sleeping gods and drive corruption from the earth. Players will need to fight tooth and nail for survival and scavenge the world for resources in order to survive. The world of the Beyond the Veil is harsh, and its inhabitants no less so. Amongst tumbled ruins and under searing suns, bloody battles will be fought against man, beast, and nightmares themselves. Combat in Beyond the Veil is tough, fast-paced, requires skill to master. 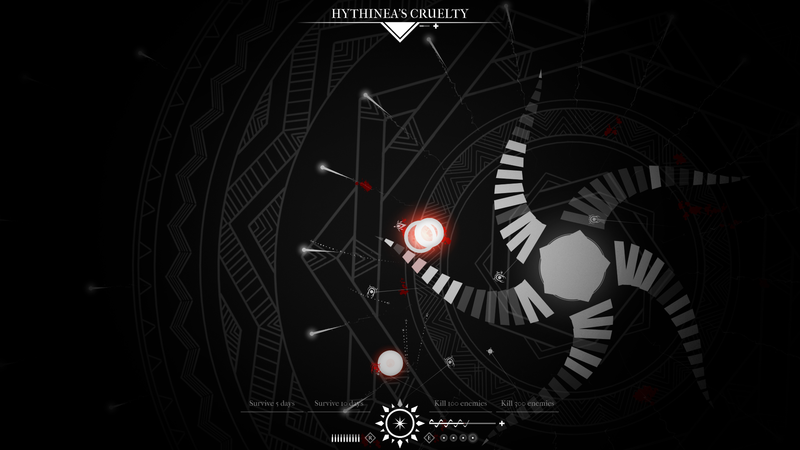 Inspired by bullet hells and atmospheric survival games, expect a unique but familiar experience. Explore the narrative of Beyond the Veil, uncover what happened to the gods, and why you are here. Find others in the wasteland to help you, and listen to their stories. Discover the secrets of the five kingdoms of the gods. Procedural maps make each playthrough unique, presenting different advantages and challenges as you explore. From rain and fog to lightning storms and hurricanes, the dynamic weather system can upset even the best-made plans. Develop characters as you see fit. Take on trials to increase their stats or give them powerful passive abilities. Equip a plethora of different weapons, accessories, and inscriptions to give you an edge in combat. Fight hordes of enemies in real-time, bloody combat. Use weapons, skills, and the environment to your advantage to survive. Movement and awareness are key to survival, but fleeing is always an option when things get too tough.